If your little one happened to be born during the winter months, it can be challenging to find a fun, engaging kid’s birthday party venue. Many of the outdoor places will be closed due to Washington’s cold temperatures and constant moisture. While the weather may be dreary, the last thing you want for your little star is for his or her big day to be a downer. Funtastic Playtorium is proud to be your go-to indoor playground, providing a safe, exciting environment for children between the ages of 1 and 10. We strive to provide the best facilities and birthday party ideas to Bellevue residents. Our playground and kids’ party places in Alderwood and Factoria are designed to be engaging and cost-effective, providing a good time for both the children and their parents. We’re all about providing exciting adventures and memories that will last a lifetime for your child. 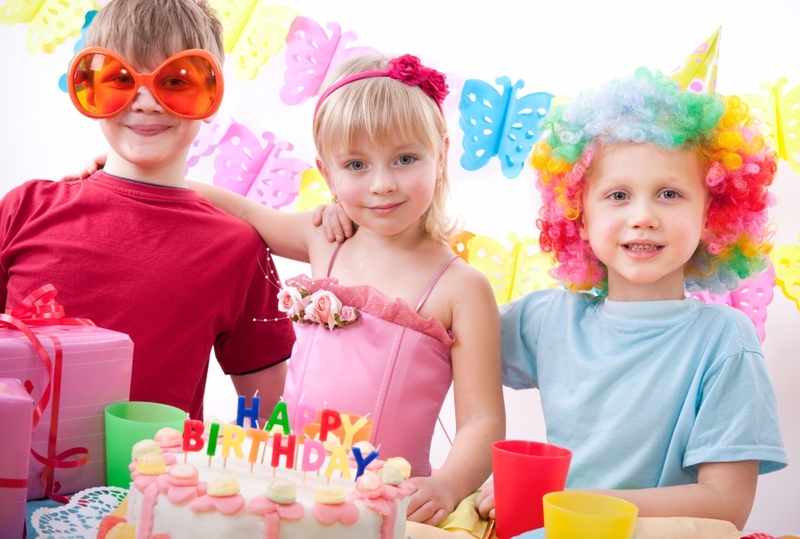 Today, we’ll highlight a few funtastic ideas that may elevate your kid’s birthday party to a new level of exhilaration. If your child’s birthday is coming up soon this winter season, be sure to reach out to Funtastic Playtorium to reserve your spot today! The West Coast may not be warm and sunny at this point in the calendar, but that doesn’t mean you can’t bring in the sunshine and and good times! Sans the sand, you can easily create a surfside paradise for your little ones to enjoy. You can ask guests to bring their favorite beach towels, umbrellas, and toys to the party and supply them with fun activities, games, and accessories such as a kiddie pool for a great time. Everyone can soak up the pretend rays, and you won’t even need to worry about applying the sunscreen! Everyone loves the thrill of testing their skills to overcome challenges of all kinds, and an engaging scavenger hunt is one activity that is sure to have children of all ages scrambling and working together. The method and objective for this hunt is entirely up to you! Parents can collaborate to customize the event, laying out simple tasks for the younger children while truly challenging the older kids to expand their thinking and use their critical thinking skills. You can also adapt the scavenger hunt to match your party’s theme, whether it involves the beach, the sports field, or anything else you can imagine! Children love activities that are exciting and engaging, and throwing a sports-themed party will help you to provide a fun outlet for all of that energy. Parents have a wide range of choices at their disposal, ranging from single-sport parties to blended extravaganzas that involve the best of every sport. Combining the excitement of sporting activities with a well-themed party will help to create a memorable experience for your little one and his or her friends. 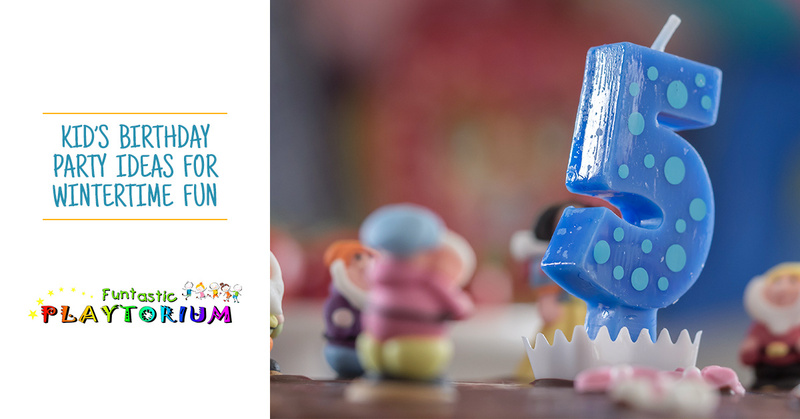 Funtastic Playtorium is here to help you plan your kid’s birthday party at our venue, delivering assistance and advice every step of the way! Turning off the lights has never created more fun when you take the time to acquire some fun glow in the dark accessories. Simply supply your group with energetic music, strobe lights, glow sticks, and glow paint, and your partygoers will be able to let loose and shake a leg. From the little ones to the older kids, glow in the dark products are available at numerous retailers and can make your kid’s birthday party glow with fun! From Star Wars to Minecraft, today’s children have a wide range of movies and video games to enjoy that we as the parents never had. This option, while not as engaging as other themes, is sure to provide fun and pretend play for your little ones. As the parent, you can create a whole world with attention to the little details. Be sure to include small features that can produce big results, such as pixelated decor for your Minecraft experts. Chances are that your little star has come to you already and request one of these themed parties. One fun and inexpensive way to host a great party is to stage your own Nerf battles. These fun dart-shooters are relatively affordable and very popular with children of all ages. You can supply extra darts, safety glasses, and uniforms or handkerchiefs to provide the ultimate value for everyone involved. You can request that party guests bring their own firearms and that you’ll cover the rest. What often results is a grand time that is full of movement and laughter. No matter what age you are, sailing the high seas in search of loot and adventure is an experience that everyone enjoys. Your little swashbucklers can thrive with a pirate-themed party, including the wardrobe, accessories, and talking parrots needed to create a very memorable experience. Parents may choose to create mini-games focused on the theme, or they may go with gold coins as rewards for the boldest little pirates. As a timeless theme, you can’t go wrong here! Regardless of the theme of your child’s party, it can pay to host it at a location that is tailored for the most enjoyment. Funtastic Playtorium is here to help! Our indoor playground is built to allow your child’s imagination to run free. Our facility features fun features everywhere you look, giving children the tools needed to run, chase, and play. If you are looking for kids’ birthday party places, our indoor playgrounds in Factoria and Alderwood are here and open for business. We’re proud to offer the best kids’ birthday party ideas to Bellevue and beyond, raising the bar for how a party should be celebrated. Contact us today to reserve your spot!